Used Rolling Rock to do a lower budget back yard install with paver bordered grass (sod) island, various plantings and a sprinkler system overhaul. Sales Rep Karen was straight forward, knowledgeable and helpful in laying out the design. Was also able to show pictures of plant samples and what the pros and cons of each would be long term. She provided contact references from jobs nearby that were not brand new (my request) for me to check out. Not surprisingly they were good but also helpful with other tips. Install was completed in two days and the crew quality exceeded my expectations. Several glitches were discovered w/ the existing sprinkler system and the crew addressed them on the fly. We also had a design issue they were flexible on how to treat during the install. Working with the owners directly was a very positive aspect of using these folks. They were on site periodically and did some of the work themselves. Will be using their maintenance services through the warranty period or longer and will report on that in the future. I never thought it was possible to LOVE a landscaping company. Well here I am to take the time to tell everyone that I LOVED LOVED LOVED rolling rock! Owner Jim and project manager/designer Karen are a dream team. I was so grateful to see Jim on site for the job every single day. Any questions/issues I had, it was so nice to go directly to the source and get my question addressed. Both were always available via email/text for any questions I had. Simply put… they work fast, efficient, very professional and do amazing installation. I’m still amazed at how fast they finished my yard which was a DISASTER before and it’s a dream come true. I have zero problems and couldn’t be happier. This is how all companies should be run. Thank you Rolling Rock!!! I have been using Rolling Rock landscape for a few months to take care of my monthly maintenance needs. Don Tistle, the owner, has always been accessible when I have questions and I trust him and his team. My yard always looks fantastic after they are done. When I heard the freeze warning was in effect for AZ. I called Don and he came out that same day to try to help me cover my ficus tree because I was worried about it. Unfortunately, it didn’t make it through the chilling temperatures, but I will be calling Rolling Rock to get my yard looking nice again. Thanks Don! Rolling Rock Landscape came my way by reference of Thunderbird Pools & Spas who were installing my ground pool. We met with Karen a couple weeks after the pool process was underway. Karen has an amazing depth of plant knowledge, especially for the Phoenix valley climate. Her recommendations of not only what we might want to consider but the why we should consider such-and-such was a truly easy and fun experience, especially for my wife. She has what was essentially a library of choices on her iPad so while she may have had an idea we could also pick-and-choose from a variety of options. Once the pool was complete Karen immediately scheduled a team that included owner James Perlow and four of the friendliest guys you would ever want to meet in Roman, Jeremy, Ceasar and Eric. These guys worked their tails off for 2-days building and putting the finishing touches on our dream backyard. I got to know them a little bit too, which for me is all part of the experience. Nice guys and I wish them the best. It’s important to mention that once Jim appeared on the scene you knew who was in charge. It was great to be able to speak with the owner who is a real hands-on guy from toting wheel barrels to running the Bobcat to answering all my questions. It’s obvious why Thunderbird gives Rolling Rock Landscape the nod as a recommended partner with this great team of doers. 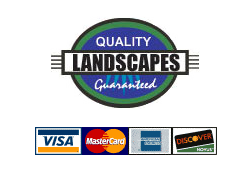 I highly recommend Jim and his people to handle your landscaping needs if for no other reason than they are a family owned and run operation so you know that everything they do is staking their reputation on quality service. “We just wanted to say thank you so much for the awesome job you did on our landscaping project. With all the headaches of moving into a new home we were concerned about the expense of hiring a landscaping company but you guys made it so worth it! We appreciated your willingness to help us design a yard that would work with our future plans for adding a pool to our backyard. Your ideas were great and allowed us to have a yard that looks complete but also knowing that when the time is right we can simply add our pool without having the headache and expense or redoing the entire yard. We enjoyed getting to browse through your portfolio for ideas and also being able to have some say in what types of plants and trees we’d have with our package. We love the side lying brick border. Great idea and we like the look more than the traditional curbing. With our busy schedule it was so nice to be able to have a dependable company who was there when they said they’d be and you actually even finished earlier than you’d expected which was a pleasant surprise. We’d also like to commend you on your employees. Each member of your crew was professional and hardworking. There was no fowl language or inappropriate behaviors and that was refreshing as well. It was nice to see both of you at the job site each day not only over seeing the work of the crew but working along side your guys. “Rolling Rock Landscaping did a absolutely superb job on the design and landscaping both on my front and back yard.The whole process only took a day and a half and found them very easy to work with a would recommend their service to anyone. The price was very reasonable for the expertise and quality of their services. “Alba and I would like to say thanks for the wonderful work you and your team did for us. I should also make note that you stood behind your work, by replacing plants that did not make it. It has been almost three months and the landscape is beautiful. We just wanted to drop you a noted and say thank you for the excellent job that Rolling Rock did on our home landscaping project. Throughout the entire process of bidding, designing and installing, you guys were very professional, dependable and responsive–not to mention competitive with your pricing. You truly did an admirable job from start to finish and completed the project right on time! We’d also like to recognize your work crew as well. All members of your crew were respectful, polite and friendly and also cleaned up the worksite before leaving each day. Observing you both, along with Don, working along side your guys each day reassured us that the project was on-track and in good hands. We also appreciate the “service after the sale” and your stopping back by to check on the plants, bring some extra gravel, etc. When we look at our house and yard now, we are so glad we hired a professional company to have our landscape project completed all at once–it was definitely worth it and we enjoy it each and every day. Several of our neighbors have complemented how nice it looks and asked us who did the work–especially the ramada in the backyard. Of course, we speak highly of Rolling Rock and have no doubt that we’ll see you in the neighborhood again soon–helping our neighbors bring their landscape plans to life. It is with great pleasure and satisfaction that I write this letter of recommendation to Rolling Rock Landscape and especially Jim and Wyatt. About two months ago my wife and I decided to do a major investment in our backyard. We wanted a flagstone bar and barbeque, fire pit, lightning system, drip irrigation system, boulders, trees, plants, patios and other improvements too numerous to mention. We got a lot of quotes for this major undertaking and ever though Rolling Rock was a little more I really trusted that they would do a good job in a timely fashion. They just seemed professional and for the amount of money I was spending I wanted to feel comfortably with whom ever we hired. Well am I glad I chose Rolling Rock. Their work was outstanding and greatly exceeded my expectations. They delivered everything promised right on time and the craftsmanship was excellent. Everything was top notch and they even added some personal touches that I didn’t think of. My wife and I now spend most of the day in our backyard and at night the gas fire pit and lightning system is so relaxing that we now enjoy cool evenings just sitting out back. I would recommend anybody interested in a professional, classy and quality landscape to call Rolling Rock. It is always my pleasure to recommend Jim and Wyatt. Thanks so much for a great job. Rolling Rock Landscape came my way by reference of Thunderbird Pools & Spas who were installing my in ground pool (see also my review on Thunderbird). We met with Representative Karen a couple weeks after the pool process was underway. Karen has an amazing depth of plant knowledge, especially for the Phoenix valley climate. Her recommendations of not only what we might want to consider but the why we should consider such-and-such was a truly easy and fun experience, especially for my wife. She has what was essentially a library of choices on her iPad so while she may have had an idea we could also pick-and-choose from a variety of options. Two years ago we moved to Peoria, AZ and needed help with landscaping. We discovered Rolling Rock Landscaping and hired the company for a first ‘clean-up’ of our somewhat neglected property. The owner, Don Tistle, came and assisted us with advise and we hired the company for monthly maintenance. Ever since our first encounter Don and his crew have been outstanding in keeping the sprinkler system running, trimming and planting trees and shrubbery, giving advise about fertilisation pruning and much more. Don is always available to come and answer questions. The price is right and the job they are doing is always impeccable and excellent. We give Rolling Rock Landscaping our highest recommendation as anyone who needs landscaping services will be pleased with their services and their professional expertise from planning, designing, remodeling to installation of patios, barbecues, fire pits, sod, lighting, masonry and installing sprinkler systems.